It seemed like the natural thing to do. A middle-aged man had dropped his keys near me. I jumped up, hopped over, picked the keys up, and gave them back to him. Not so unusual, except I had a badly twisted ankle after slipping on a walking holiday and needed to rest it while the pain and swelling went down. I struggled back to my seat, wincing. It was a small incident but symbolic of my rescuing, codependent instinctive habits at the time. If something needed doing, I would be the one to do it. If there were a problem around, I’d jump to fix it. Of course, I could have just called out to the man and pointed at his keys from where I was sitting. But I felt like I had to do it myself. I thought that’s what ‘being good’ was. And the harder something was for me, the more ‘good’ I thought I was being. It was part of a whole guilt-driven people-pleasing pattern. Other people’s appreciation gave me brief relief from feeling bad about myself. It was a temporary pass into being okay. Over the years came relationship breakdowns, career misfires, and increasing anxiety and insecurity. Whenever there was a problem in a relationship, I considered it my job to fix it. Though my intentions were good, this actually created a sense of separation. Instead of being in the relationship, I became more like a mechanic looking at it from the outside. As for work, I took on so much that it left me stressed and created a distance from my colleagues. I thought they were acting coolly toward me because I wasn’t doing enough, but that opposite was actually true—I was doing too much. I didn’t recognize at the time how my actions were affecting the balance of my relationships. I couldn’t understand why I kept failing. I’d always been taught that if I wasn’t succeeding, the answer was to try harder, but the harder I tried, the worse it got. So I tried therapy. Naturally I tried to be the best therapy client. I did all my homework, read all the books, and often turned up with ‘helpful’ notes for the therapist. Of course that didn’t work either. Learning about what I was doing wrong made it worse. Now I had a whole new set of things to beat myself up about. I was even failing at therapy! I was pointing in the wrong direction, so going further just got me more lost. The turning point was realizing my cruelty. My kindness to others had blinded me to how cruel I was being to myself. Trying harder and beating myself up for where I was failing was just more cruelty. However much I did, no gold star was ever going to come from outside to officially certify I was “enough.” If I was to become a truly kind person I needed to start learning to be kind to myself. It was hard. I had to stop constantly being the most helpful person around. But in my mind, at least, that’s who I was. My profession, my relationships, and my identity were all based on that. If I wasn’t that, what was left? I was like an addict in withdrawal. Without the regular feel-good boosts of appreciation from others, I had to face all the difficult feelings I’d had about myself for as long as I could remember—the guilt, fear, and insecurity I’d developed when I was a sensitive kid who felt like he didn’t belong and always thought he had something to compensate for, atone for, or prove. But at least I was now pointing in the right direction, so every step was progress. Each week was a little better than the last. Spotting when I was being too self-critical and learning to be kinder. Holding back from fixing a problem someone could easily fix for themselves. For example, unless my partner specifically asked me to help solve a problem for her, I learned to empathize, encourage, and support her so she could work it out for herself. Stepping back meant some things didn’t done, took longer, or went wrong. But sometimes they went better than if I’d tried to fix them. Who knew? And sometimes the person asking decided it wasn’t important after all. More importantly, though, by learning to hold back I was allowing others the space to develop, while weaning myself off the quick, feel-good boosts I got from helping others. Of course, this didn’t happen overnight. Changing deep patterns takes time. But each small change sets you up for the next one. It’s a gradual positive, self-reinforcing cycle. If people tell you you are your own worst enemy, how about becoming your own best friend? Many of us are better friends to others than we are to ourselves. We’re kinder, more supportive, and more willing to stand up for their needs. You’ve heard the “golden rule”: “Treat others how you would like to be treated.” That holds true the other way too. Treat yourself how you would treat a good friend. If you wouldn’t say something to a good friend, don’t say it to yourself. If you wouldn’t ask a friend to put up with something, don’t put up with it yourself. You’re as much part of nature as they are and just as important. Plus, looking after yourself is your job! Big news: No one else is either. Even bigger news: You don’t have to be. Thinking you have to be perfect is part of the problem. You don’t have to make up for simply existing. You don’t have to be gooder than good. No one can give you the gold star that certifies you as “enough.” And you can’t get it through your accomplishments, how good you have been, or how many people you have helped today. You have to learn to give it to yourself. It’s your basic pass for being part of nature. This doesn’t mean you’re perfect. You’re not. It means making friends with your flaws. There’s a humorous office sign that reads “The beatings will continue until morale improves!” We laugh at the sign, but many of us carry an idea that the harsher we are to ourselves, the more likely we are to change. The opposite is true. Research shows that people who are compassionate toward themselves are better able to take on feedback, grow, and change. They find it easier to adapt because they’re already comfortable with themselves. They’re less fragile because their whole sense of identity isn’t on the line. They know that what they did isn’t who they are. They can open up, connect, and learn. Self-compassion doesn’t mean glossing over your failures or challenges. It means supporting yourself while you’re putting them right. You’re not so special that you need to be last. This isn’t about becoming selfish. It’s about balance. You’re as deserving of love and good things as anyone else. Not more. Not less. 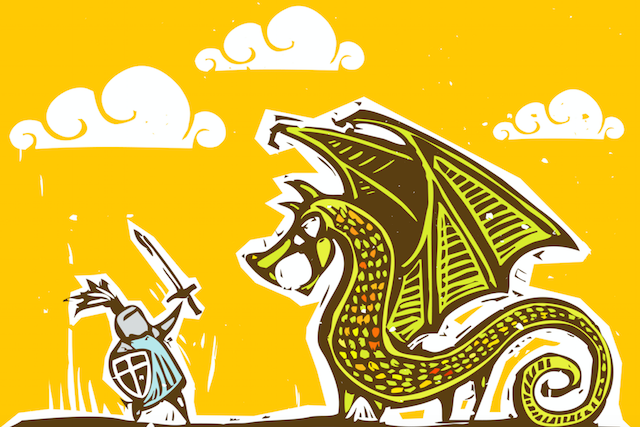 You might need to learn how to be more assertive. That could difficult at first. Support yourself while you’re learning. It isn’t always easy. It takes time. But once you’re pointing in the right direction, you’ll start feeling better each week. And as you feel better about yourself, you’ll feel less of a need to be everyone else’s hero in order to receive their appreciation and validation. And you’ll become as good a friend to yourself as you are to everyone else. Andrew Cain helps people who are “too nice for their own good” become better friends to themselves by teaching them how to stop rescuing and people pleasing, get on their own side, and stand up for themselves without feeling selfish. You can get his free Love Yourself guided meditation and Get On Your Own Side course here. 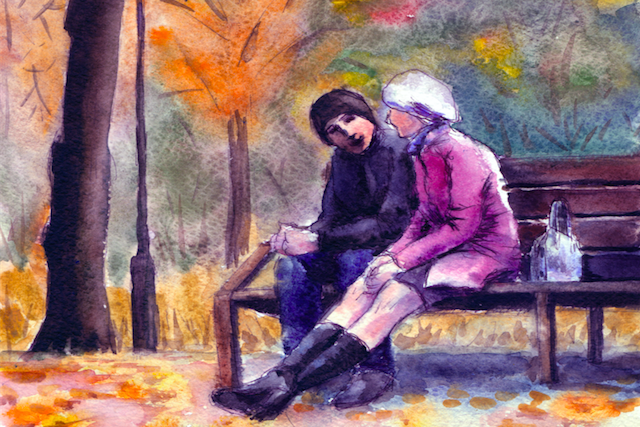 The post How to Stop Rescuing Other People as a Way to Feel Good About Yourself appeared first on Tiny Buddha.